As you’ll read below, we’ve endured storm after storm, exactly what you would expect in this far-flung region of the arctic at this frozen time of the year. Thanks to you, we’re working our way out of our own financial storm caused by steadily spiraling expenses. Please stay with us, won’t you? We wish we could properly thank you. We remember you in prayer at the beginning of every weekly staff meeting, and during that prayer, hold a book in which we include your intentions. Please continue to send them to us. Thank you once more for your kindness to the good people whom we serve. May Our Almighty Father bless you abundantly for your generosity and your prayers. THE OLD SWITCHEROO: (left) In Studio B, volunteer music director Laura Davis switches roles to screen calls for one of KNOM’s weekly “Sounding Board” call-in programs. Behind her, in Studio C, volunteer inspiration director Dave Dodman produces and hosts the show, this one a lively discussion on self-improvement. YOUR IMPACT COULD MULTIPLY MANY TIMES: Do you belong to a parish that has a social action committee? Or another group which makes financial contributions? Dozens of parishes and other organizations regularly support the KNOM mission. If you can enlist even one group into helping isolated western Alaskan villagers via KNOM, you can make an even greater positive difference than you already are! AND. . . THE GIFT OF KNOM: What do you give someone who has everything? You might consider honoring that person with a gift in their name to KNOM. If you send us their name — or names — we will send them a personalized thank-you card personally signed by all of the KNOM staff. Both you and they will know that the contribution went immediately to work, informing, educating and inspiring the most remote population in the United States, thanks to the country’s oldest Catholic radio station, and thanks to you. Thank you! INSPIRATIONAL SPOT: Going to church frequently can be a beauty treatment. You can have your faith lifted! INSPIRATIONAL SPOT: Those who leave everything in God’s Hands will eventually see God’s Hand in everything. 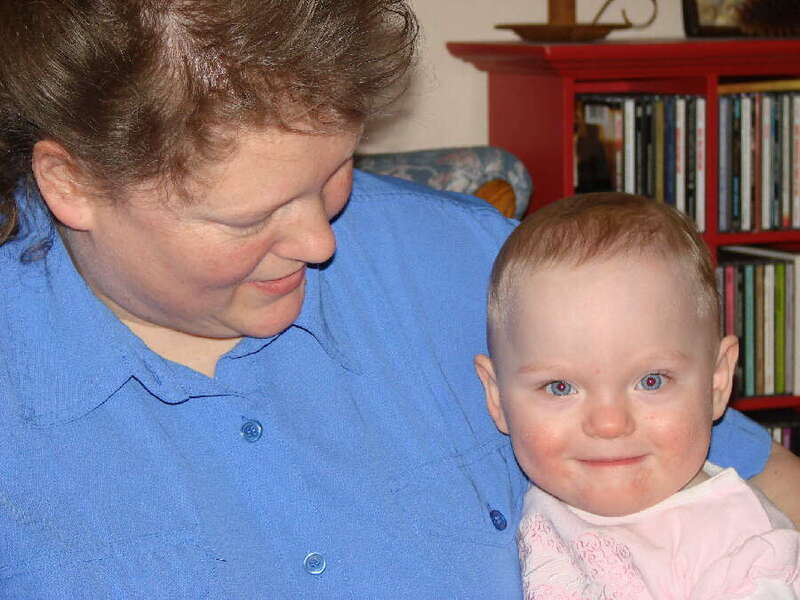 HAPPY AND HEALTHY: (left) KNOM office assistant Robyn Woyte holds a smiling daughter Sophia, who is normal in every way. Sophia was born 28 weeks premature. Both mother and child died briefly on the operating table. Robyn and husband John sincerely thank everyone for the prayers you have offered for their family. General manager Ric Schmidt continues a 25-year KNOM tradition, recording a new “Today in History” spot for each day. Thank you so very much for making these informative and helpful mini-programs possible. LEGACY: Many of our friends who have left this life have given our mission grand legacies. By including Alaska Radio Mission in their wills, they have lent a hand in constructing safe facilities and making needed equipment replacements, and they have also helped keep us strong, rescuing us during times of financial downturn. Please consider adding KNOM to your will. We prayerfully place all bequests into funds that are used only for major improvements and emergencies. WESTERN ALASKA FACTS: Nome is more than 500 miles from the nearest highway, which is about the same distance as that from the Maine coast to Norfolk, Virginia. Scattered throughout KNOM’s vast coverage area are villages, ranging in size from a hundred people to populations of more than a thousand. These places are even more isolated than Nome. Prices are high because everything must be shipped in by airplane or in summer, oceangoing barge. In Nome, gasoline is now $4.29 a gallon. In some villages, the cost is $7.50 per gallon. INSPIRATIONAL SPOT: Becoming a saint is not a goal for tomorrow, but the work of today! INSPIRATIONAL SPOT: Love is like the five loaves and two fishes. It doesn’t start to multiply until you give it away! 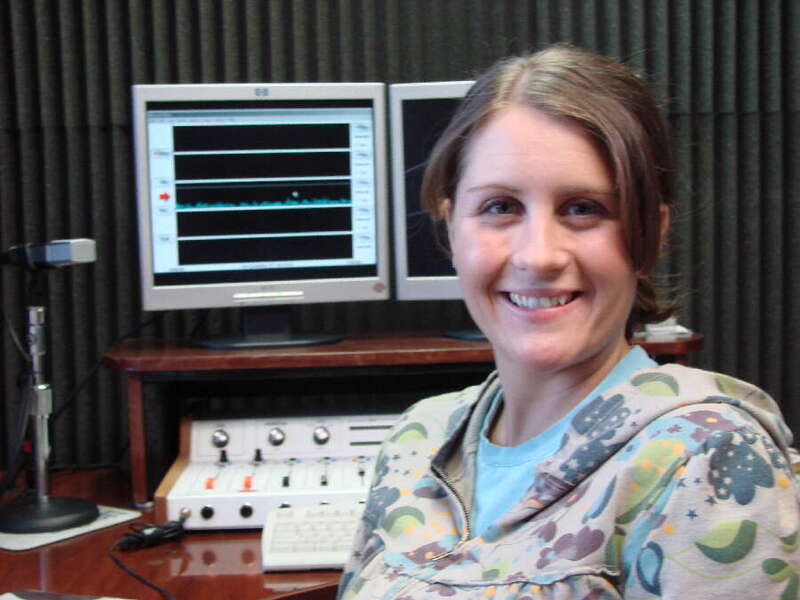 DISCUSS: (leftt) KNOM public affairs director Amy Flaherty supervises production of daily interviews and frequent call-in programs on a variety of topics. Recently, shows have covered Internet bullying, obesity, maintaining healthy relationships, rural Alaska law enforcement issues and Alaska-Russia trading history. One two-hour program highlighted southwest Alaska’s largest dance festival, Cama-i (pronounced juh-MY), filled with traditional Native music, interviews with dance leaders, drum makers and project organizers, and explanations of the music’s cultural importance and song origins and dance moves, part of an ongoing effort by KNOM to help preserve Alaska Native traditions. From Forest Grove, Minnesota, Amy came to the mission, first as a volunteer, in 2002. In her spare time, she is active on Nome’s arts council and she mentors children at Nome’s youth jail. THANK YOU: If you contributed toward our transmitter site’s emergency generator several years ago, thank you! And thank you for helping us to fuel it. So far this winter, it’s kept us on the air many times, and since its installation in 1998, an incredible 671 hours. 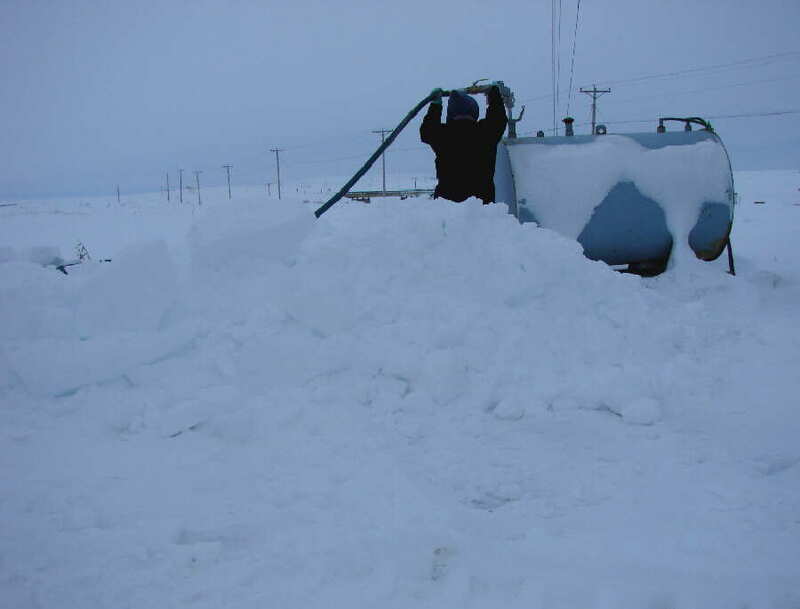 ONE OF THOSE TIMES began with a vicious blizzard that raked western Alaska on January 22nd. We estimate that at one point, winds at our transmitter site exceeded 100 MPH. Everything closed, and Nome police chief Paul Burke spoke over KNOM, urging people to stay put. They did, and for many, as power failed, their only contact with the outside world was KNOM on battery-operated radios. The third of four memorable Bering Sea storms in ten days, it ripped power lines from poles. When temperatures dropped into the low minus twenties, with power out, scores of homes’ water lines froze. 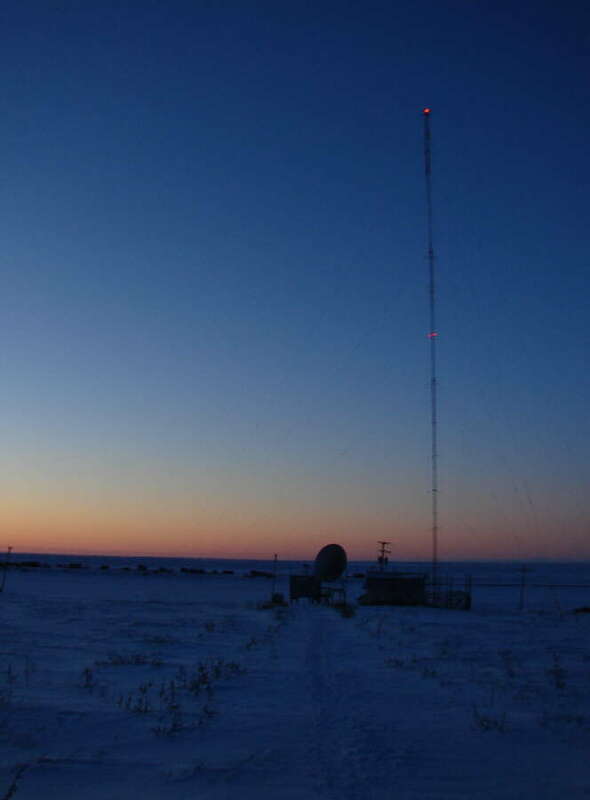 With general manager Ric Schmidt out of state, Tom Busch cashed in airline miles and rushed to Nome to ensure the transmitter site’s generator was okay and its fuel tank was topped off. 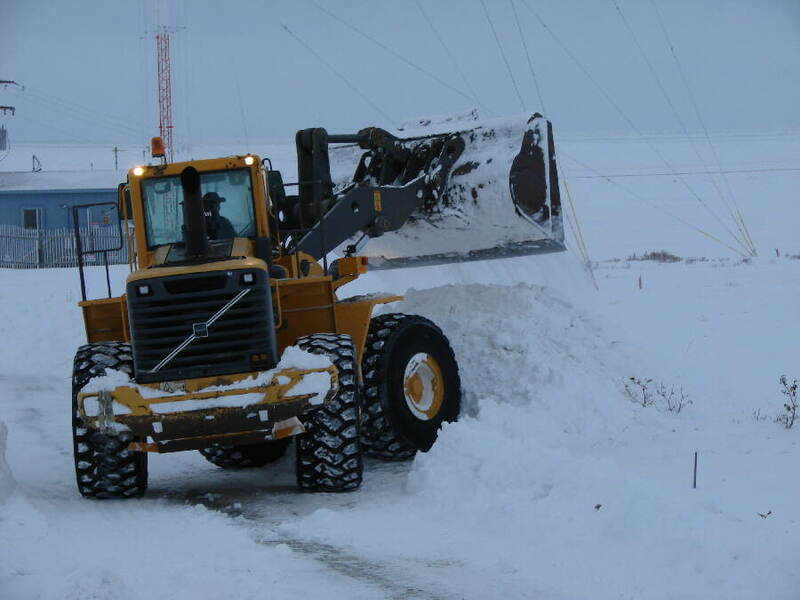 (Left) Under Tom's supervision, a front-end loader clears the 400-foot drive to the AM transmitter. (Left) The emergency generator's 500-gallon fuel tank is refilled. You can imagine what a comfort it is for us to have reliable power during outages, allowing us to relay emergency information. Thank you again! 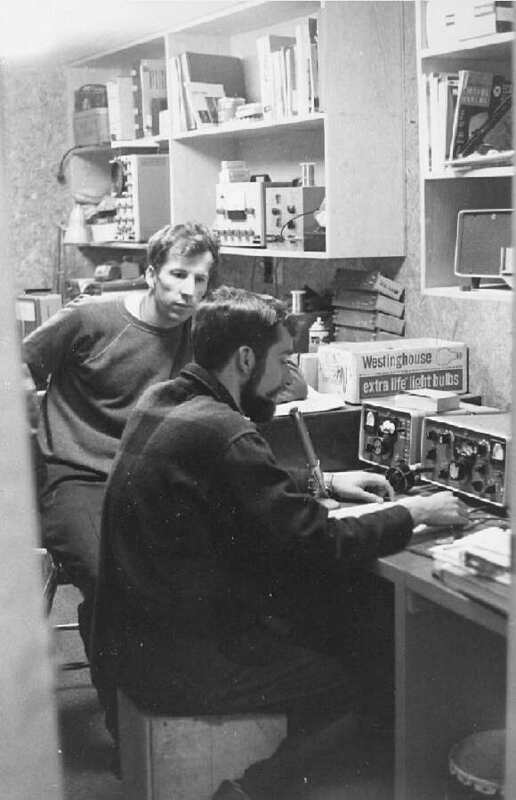 WE INVITE YOU to browse the past 140 Nome Static Newsletters at www.knom.org/static.htm, or the more than 500 historic Alaska Radio Mission images at www.knom.org/photo/photoindex.html. We hope that you will accept! INSPIRATIONAL SPOT: God, Our Father, loving and merciful, bring together and keep all families in perfect unity of love and mutual support. Infuse in each member the spirit of understanding, forbearance and affection for each other. Instill in children self-respect that they may respect others, obey their parents and those in authority, and grow in mature independence and the tender joys of friendship. Make the mutual affection and respect of families a sign of Christian life here and hereafter, through Jesus Christ, our Lord and Savior. Amen. 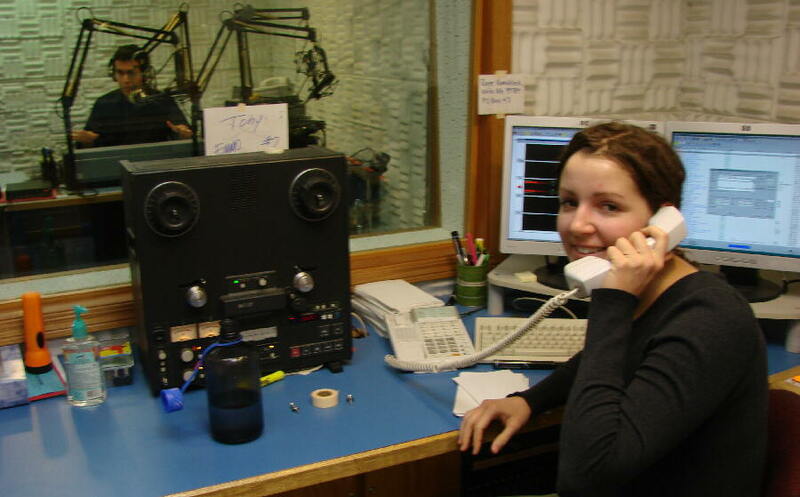 SECOND GENERATION: (left) High school senior Tara Schmidt, daughter of general manager Ric and business manager Lynette Schmidt, reads a public service announcement while filling in a volunteer deejay shift. She’s the first child of KNOM volunteers to have a regular shift at the controls, “though I don’t do it regularly anymore,” Tara says. 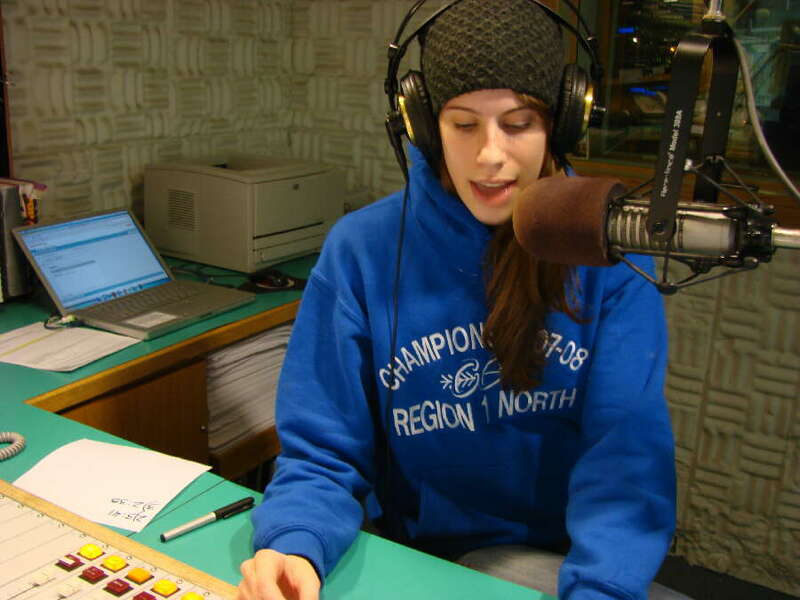 EMERGENCY: Nome police had an emergency message for a woman but couldn’t find her, and asked KNOM to air a short message. Within a few minutes, she was in contact. According to the most recent audience measurement survey, depending on location, between 76% and 100% of adults are KNOM listeners every day. FORTY YEARS AGO: In February 1968, Nome is a crossroads for priests, with visits by Fr. Jack Morris, SJ, founder of the Jesuit Volunteer Corps, and two site chaplains for the U.S. Air Force, the latter en route to remote radar installations. THIRTY YEARS AGO: February 1978 is a rough month for the mission’s volunteer maintenance man Pete Fricilone, as the radio station and four of the other Nome Catholic buildings lose heat and suffer frozen and split pipes. HOW MUCH DID WE SAVE? (left) In June 2003, we replaced the traditional 1,475 Watt incandescent lamps with energy-saving Light Emitting Diodes (LEDs). Not only do the LEDs draw dramatically less electric power, but also, unlike incandescents, they do not require annual replacement. By law, any tower work requires three licensed climbers. How much have we saved? It's complex, and we'll calculate an answer for you in next month's Nome Static. Please stay tuned! Again, WE THANK YOU AND WE HONOR YOU for your gifts of finance and prayer that keep our mission beaming strong. You and your intentions remain in our prayers. God bless you!